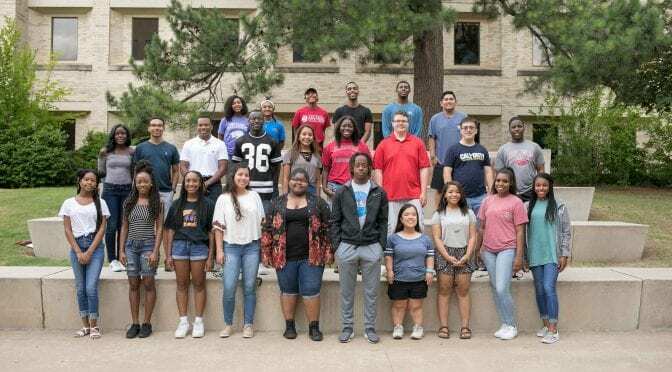 The Office of Diversity and Inclusion at the Sam M. Walton College of Business is hosting 19 high school students from Arkansas and Texas at the Accounting Career Awareness Program on the University of Arkansas campus July 15-20. The residential summer camp introduces high ability minority students to career options available in accounting and other fields of business administration. To kick off the program, Anne O’Leary-Kelly, Walton College senior associate dean; Barbara Lofton, Walton College director of Diversity and Inclusion; andDonell Cunningham, president of the Northwest Arkansas chapter of the National Association of Black Accountants, will speak to students about career and academic options. During the week, students attend short courses in business foundations, accounting, oral and written communications, computer information systems, ACT Prep and multimedia. National Association of Black Accountants members assist and serve as mentors to students. Accounting executives, business leaders and other professionals talk with students about professional development and opportunities in their field. 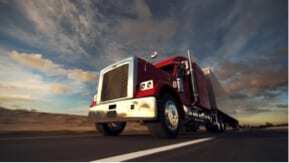 Campers will tour nearby corporations including Walmart and JB Hunt Transport Services Inc. to learn more about accounting. This year’s camp is supported by a $14,000 grant from the institute and the national association. An additional $10,000 from a collaborative effort of the Northwest Arkansas chapter, Walmart, KPMG, EY and The Tea Rose Foundation of Northwest Arkansas also supports the summer program. 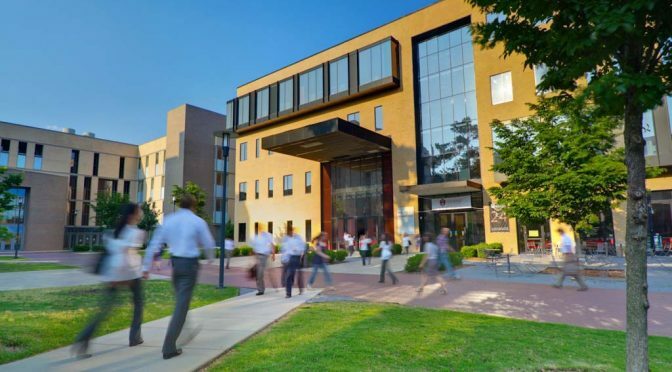 Walton College hosted the first Accounting Career Awareness Program session in the summer of 1994 and continued the program until 2010 through the support of the Ernst & Young Foundation and the Walton Family Charitable Support Foundation. Through their support, the Accounting Career Awareness Program accommodated more than 300 participants. 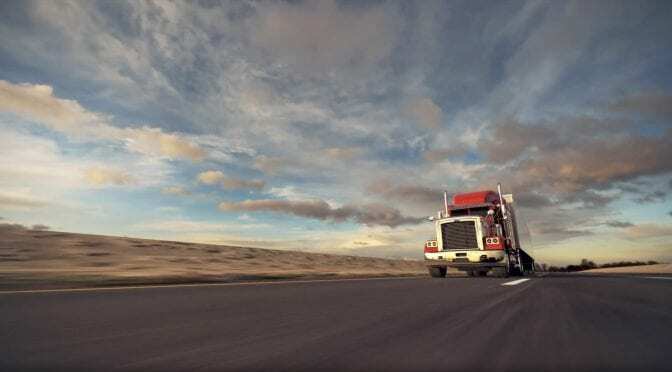 The Accounting Career Awareness Program was developed by the National Association of Black Accountants in response to the growing need for minorities in accounting and related fields of business. 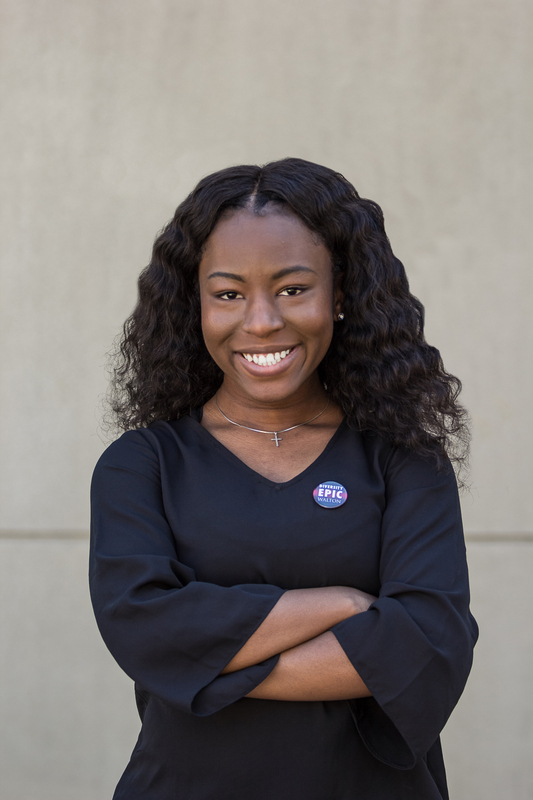 Thea Winston, a senior accounting major from Forrest City, Arkansas, is a thinker and a planner. She gathers pertinent information, dwells on it, creates a plan and then executes it. Information gathering is what led her to the Sam M. Walton College of Business and has kept her on track ever since. When Winston was in high school in eastern Arkansas, she began to critique her likes and dislikes to plan for her future. She hated blood and gore, so medicine was a definite no. She liked numbers and logic, which led her to work after school at certified public accountant Sharon Wilson’s office in Forrest City. Advice for freshmen: Be open-minded. Don’t hold back. Don’t be afraid to take risks. 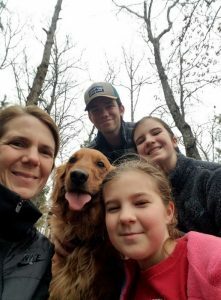 While there, Winston performed administrative duties – answered the phone, made copies, filed materials – and was able to tackle the occasional accounting task and observe her boss at work. She learned what an accountant does and saw first hand that the work suited her. She realized she could become a CPA. Her task became: Find a college that fit. Over two summers, Winston attended two week-long residential programs at Walton College – Technology Awareness Program and Business Leadership Academy – where she met faculty and staff, lived on campus, befriended other campers and applied for scholarships. After that, her mind was made up. 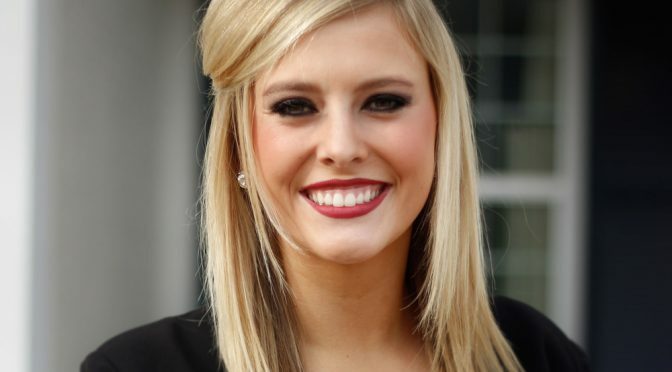 Walton College was her choice and accounting was her major. Winston’s summer camp programs eased her transition into college. She had made friends at both programs and reconnected with them in her freshmen year. She also met Barbara Lofton, the director of Walton’s Office of Diversity and Inclusion. Winston’s Honors adviser for the past four years is Jason Adams, the associate director of Walton’s Honors Program, who was always there for Winston as well. 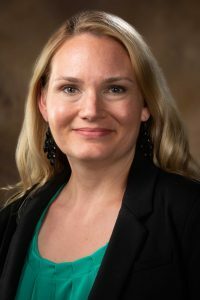 She cites Susan Anders, the assistant director of Global Engagement, as another Walton staff member who was equally friendly and supportive. “She always made time to answer my questions,” Winston said. 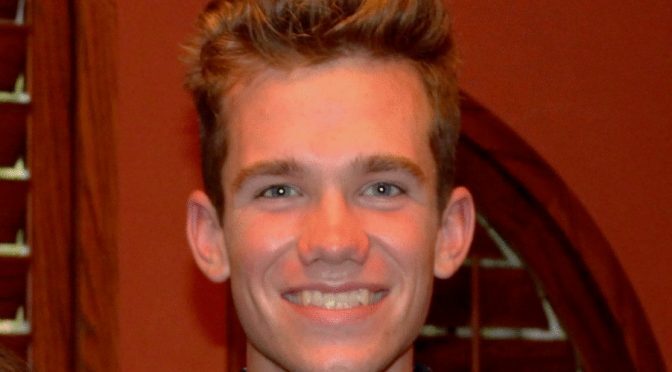 With the support of these Walton College staff, it is no surprise that Winston was an active participant in the Honors Program and Study Abroad and scholarship opportunities. During her high school summer camp programs, Winston applied for and became a Boyer Fellow. 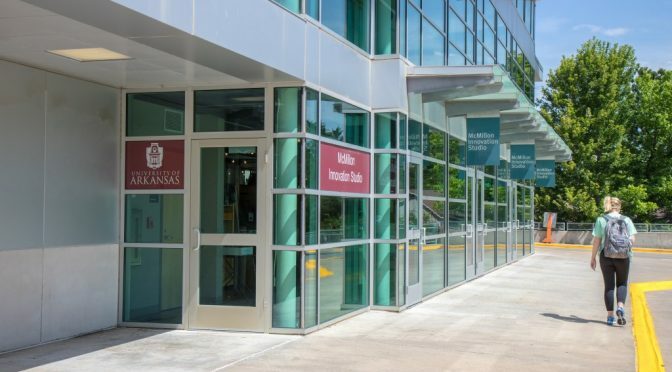 The fellowship is earmarked for business students from Arkansas who have earned a 32 ACT or 1450 SAT college admission exams, along with a 3.75 grade point average and pays for her tuition, fees, books, room and board and other academic expenses. Winston has also received the Arkansas Academic Challenge and Arkansas Governor’s Distinguished Scholarships, as well as scholarships from Tyson and Conoco Phillips. Talking to Walton faculty and staff helped her find scholarships. The scholarships also had an impact on her parents who have two kids in college. Winston’s brother, Avery, is an engineering student at the University of Arkansas. 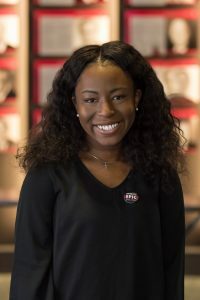 In addition to studying accounting and general business, Winston expanded her working business knowledge through an internship for two summers at Ernst & Young in Atlanta. She also participated in Walton’s study abroad program to learn about Vietnamese culture and business practices. 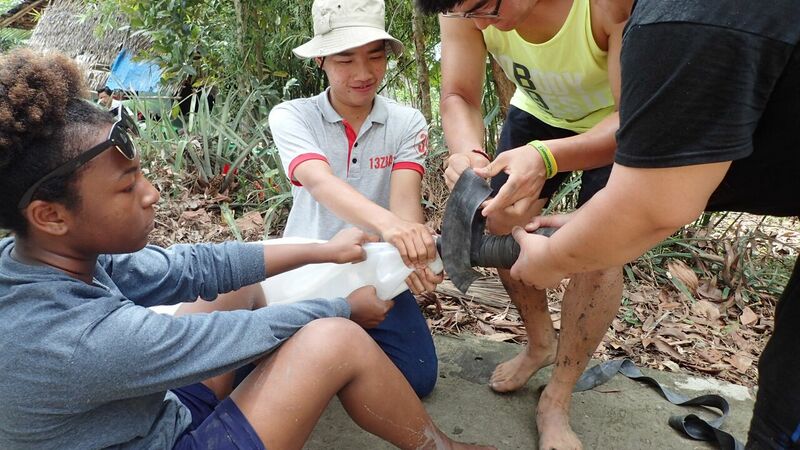 During a service project in Vietnam, Winston works with team members to power and heat resident housing. In 2015, the summer before sophomore year, Winston traveled to Vietnam for a month with five other Walton students. For two weeks, she worked on a community development project building individual greenhouse systems to power and heat resident housing. Working with other business and agriculture students from the University of Arkansas, Thea learned from Vietnamese students who served as mentors and translators. The travelers stayed on a Vietnamese university campus for two weeks. They slept on mats lying directly on a twin-size bed frame – Winston bought a second mat to create a softer bed. The food also was a change for the Arkansas native. Breakfast was often meat with rice, along with coffee with sweetened condensed milk ladled on top. One of her favorite meals was a beef dish with a sauce. She avoided the fish dishes if the eyes and head were intact. In spring 2017, Winston attended the University of Sussex in South England in the University of Arkansas’ exchange program. She took four classes there – international business, ethics, race and ethnicity, and leadership – with students from Russia, Switzerland, the Middle East and England. The experience taught her about multi-national enterprises, racial issues in other countries and group dynamics with diverse members. During her time in England, she learned many people there knew American politics, but most Americans were not in tune with world politics. She now sees the importance of being aware of global issues including political ones. 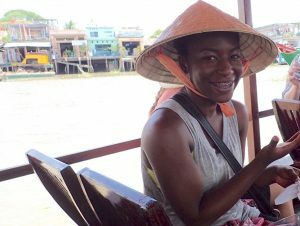 She keeps up with her fellow students from her travels via social media. At the University of Arkansas, several classes and professors were especially thought provoking for Thea. 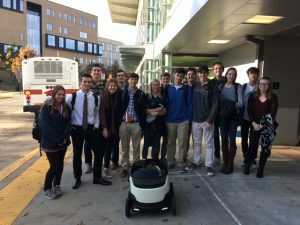 Katie Terrell, an instructor for the Department of Accounting, taught Accounting Technology, where Winston learned about data analysis and the coding needed for accounting systems. It gave her insight into a different aspect of her major. “She (Katie Terrell) enjoyed her job; it made me enjoy her class,” Winston said. The Honors Economics Colloquium class taught by Amy Farmer, a professor in the Department of Economics, tackled life decisions, which involved economic thinking and decision making. 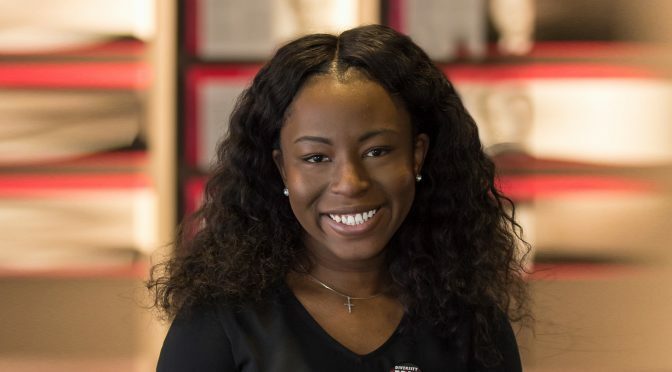 After Winston graduates in May with a bachelor’s degree in accounting, she will attend Vanderbilt University to earn a master’s degree in accounting. Once she graduates from Vanderbilt, she hopes to work at a public accounting firm in consulting, auditing or tax accounting for several years and then reevaluate her professional goals and direction. No doubt, her skills at researching an issue, creating a plan and executing the plan will aid her on her journey to Nashville and beyond. 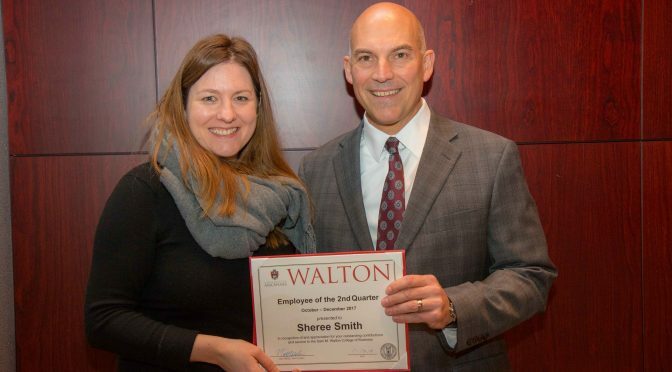 Sheree Smith, administrative support supervisor in the Department of Information Systems, has been named employee of the second quarter by the Sam M. Walton College of Business. Anyone in the college may nominate colleagues for the award, which is given to employees who show superior customer service that enhances the image of the college, above and beyond the scope of that employee’s job description. 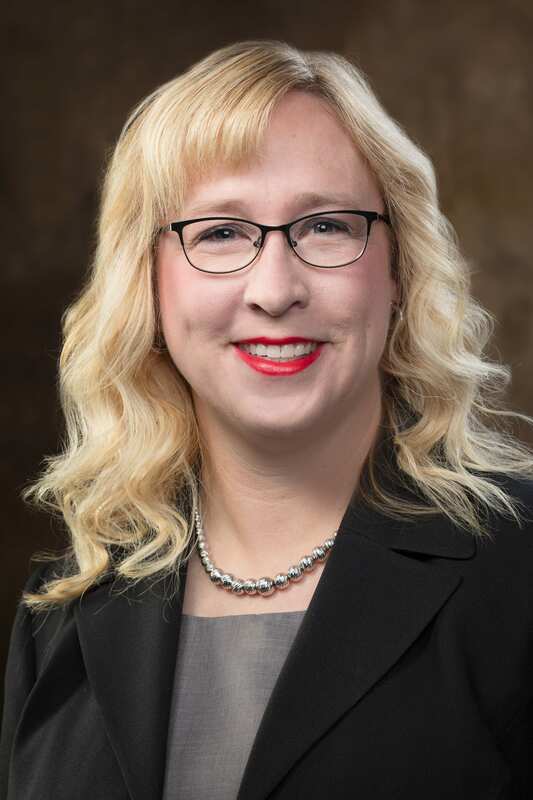 This quarter’s nominees were Smith, Pamela Heinzel of the Department of Marketing, Lori McLemore of the Office of External Relations and Amy Moore of the Research and Outreach Centers. 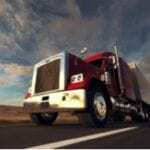 The winner of the award receives a certificate of appreciation and a cash prize. 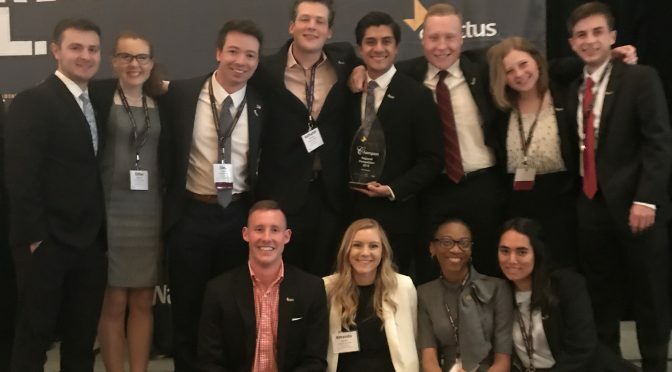 Winners are chosen by Walton College Dean Matt Waller, the associate deans, the assistant deans for undergraduate and graduate programs and the Walton College Staff Council.